I haven’t read a novel on mental illness in a while, and Unlocked by Margo Kelly reminded me of why I love to read Young Adult novels that center on youths dealing with mental health. Going to the circus was one of the highlights of my childhood. I loved the bearded ladies, clowns, the bikers who drive around in metal ball cages, the trapeze acts that constantly had my heart racing when I thought one was going to fall, the ringmasters who get huge, dangerous animals to do whatever they command; I enjoyed it all. The only thing that I always felt wary about were the magicians. I wasn’t afraid of them or anything, but it always felt as if the crowd were the ones performing and the magicians were there to enjoy the show. Every magic show I’ve ever come across has had an animated crowd willing to please the magician by either laughing at his ridiculous tricks or giving him complimentary praise for the acts he does whether they’re good or not. In Margo Kelly’s novel, Hannah (the protagonist), deciding to attend a hypnotist’s show with her friends while at the circus, becomes a member of this kind of audience and lives to regret it. Unlocked focuses on the events that take place after Hannah and her friends visit the circus. Hannah’s life immediately takes a turn for the worst as she begins to have brief psychotic episodes, one of which causes the death of one of her friends. After the accident, Hannah becomes an outcast at her school and the friends she once knew join in on the bullying that engulfs Hannah’s daily life. Already tormented by the demons and sick hallucinations, Hannah has few people to turn to and the only person brave enough to help Hannah through everything is the school’s self-proclaimed “occult expert” named Plug. Hannah easily believes that she is quickly going insane like her father who spent the remainder of his life in a mental health institution. However, when the truth is revealed and the story comes to a close, I feel as if the ending was a little anticlimactic. What was the most noteworthy part of this book was Hannah’s answer to dealing with the actual demons tormenting her and the hallucinations that she constantly experiences. It’s only through art and her newly-found friendship with the weird and unusual Plug that she’s able to battle the things that are screwing with her life and come out as the top dog. Still, I felt that, while the author centered the story on dark topics, she didn’t want to completely traumatize readers by killing off a character that readers already felt sentimental towards. When I first read the blurb for the novel, I thought that the author was going to kill someone that was close to Hannah and whose death would be such a horrific event that it would echo throughout the rest of the book. However, it felt as if the character was given an unlikable personality so that readers wouldn’t feel too hurt when they died. Other than that, it was interesting to read about how hypnotism works and how simple actions sometimes lead to fatal consequences. 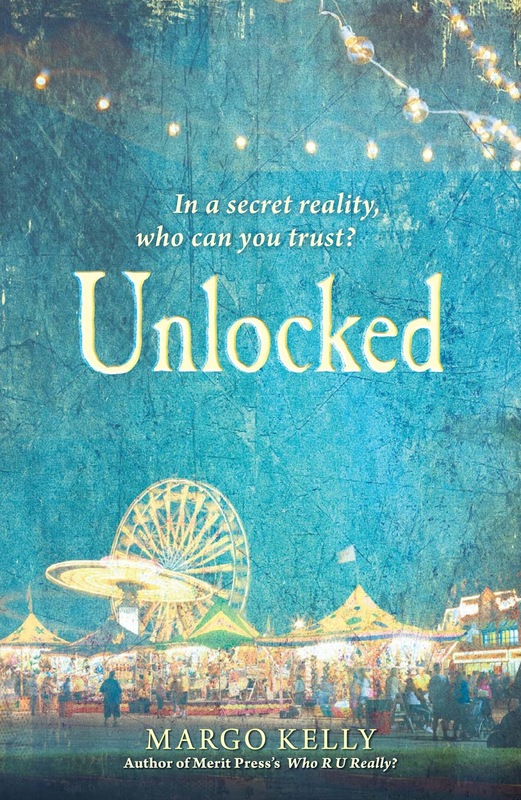 Unlocked by Margo Kelly is a novel that had me thinking about hypnotism in a new light and how to handle conflicts, especially when you feel as if you’re backed against a wall and no one is willing to help you. If you’re into novels with dark or spooky themes then this book might just be your cup of tea. Unlocked by Margo Kelly is now available. Leigh-Ann Brodber is an upcoming enthusiastic journalist. She’s written book reviews, film, stage production and food articles for various websites, and she’s also a born and bred animal rights activist, although she doesn’t think she’ll ever give up her rights to eat chicken. She has helped out at her local hospital many-a-time by indulging in weekly chit-chat with patients under a program called Candy Stripers. She also recently started getting help for her long term Facebook addiction, she swears.